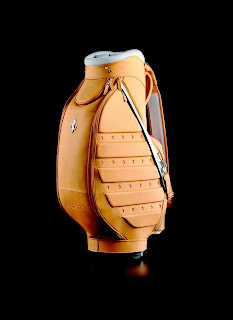 Fresh from the big book of automotive crossover branding, you will soon be able to buy Ferrari golf Equipment (which is kind of ironic since Ferrari only offers one car, the FF, that can even fit a golf bag in anywhere other than the passenger seat). The Prancing Horse has teamed up with COBRA PUMA GOLF to offer The Ferrari Golf Collection. This partnership makes a lot of sense. I’m sure there are a lot of Ferrari owners who are also avid golfers. And, most importantly, Ferrari drivers are notorious for buying anything and everything emblazoned with the Prancing Horse. Not to mention, the huge popularity of Ferrari branded merchandise among the non-Ferrari-owning population. Ferrari has a reputation of quality to maintain, so they do not take their partnerships lightly. Over the years, Ferrari has partnered with Girard-Perregaux, Panerai, Hublot, Tod’s and Montegrappa. To keep to this pattern of quality partners, Ferrari has joined forces with COBRA PUMA GOLF. 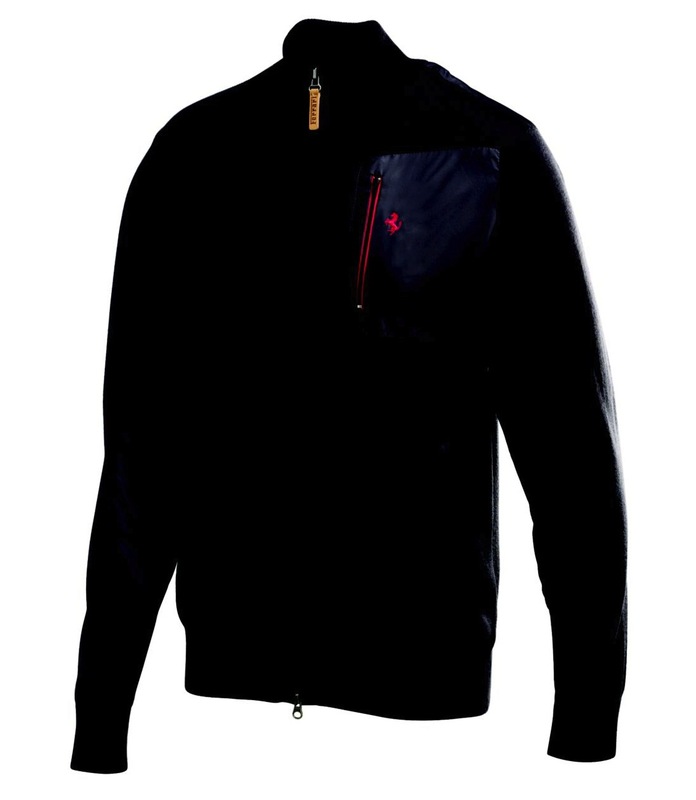 “This season, the Ferrari Golf Collection apparel features polos, knits, jackets and pants. 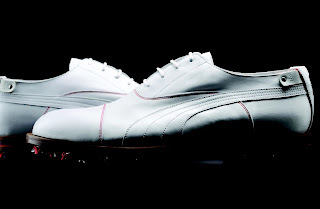 The Ferrari Golf Tech Polo uses state of the art fabrics and technology such as COOLMAX® All Season, UPF 50+ and moisture wicking for a shirt that keeps you comfortable and stylish in any weather…The Ferrari Golf Leather Shoe is handcrafted in Italy with genuine full grain leather upper and sole…Utilizing PUMA®’s S2Quill technology, the shoe provides superior traction, stability and support while on course. 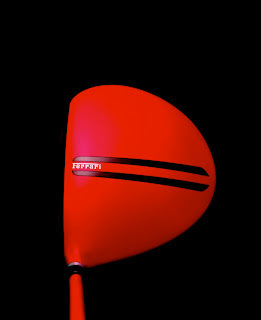 When coming up with The Ferrari Golf Collection COBRA Ferrari Driver, the two brands joined forces to develop a relatively unique design. 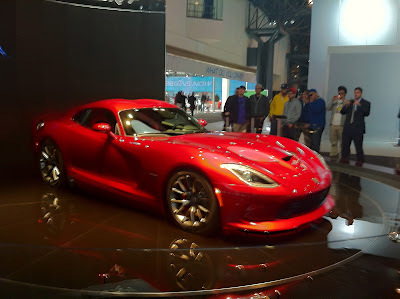 Ferrari’s aerodynamic engineers studied COBRA’s ZL EncoreTM Driver and made some modifications to the shape. Not bad having a driver designed in Ferrari’s wind tunnels. 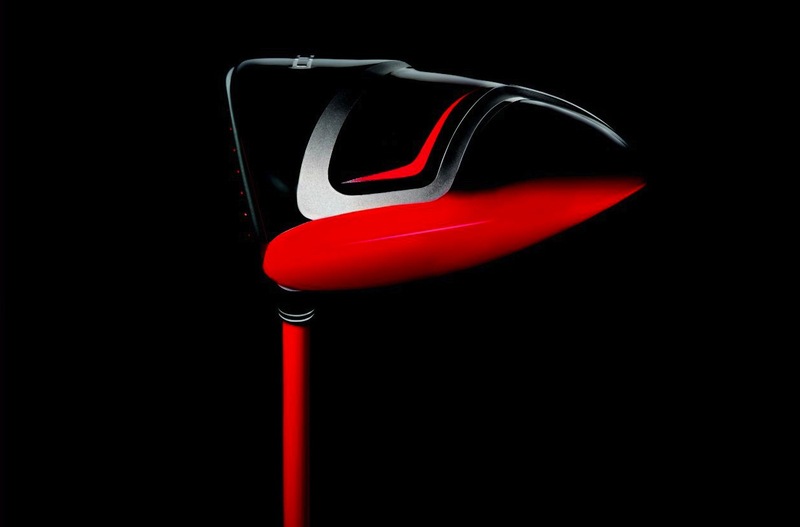 The modifications make the COBRA Ferrari Driver a better playing club by reducing drag, increasing club speed and maximizing distance. Since Ferrari considers everything they make a functional work of art, the COBRA Ferrari Driver comes with a Ferrari Leather headcover, Fujikura Motore Speeder Shaft, hand-stitched leather grip and a Ferrari Golf Collection Driver display box. I don’t own a Ferrari. 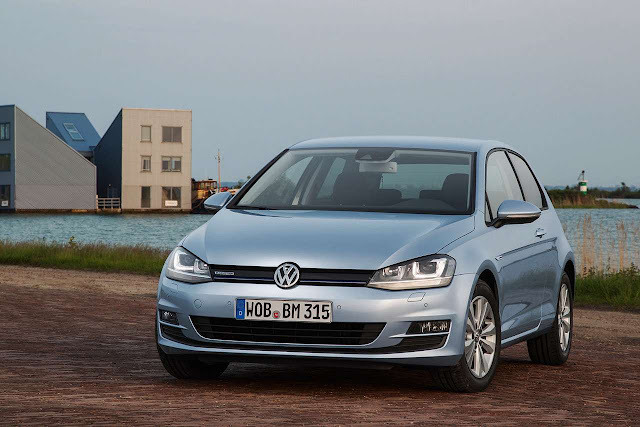 I would like one, but I don’t have one, yet. But, I do golf. 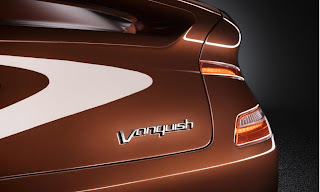 And, I do really like Ferrari’s leather. 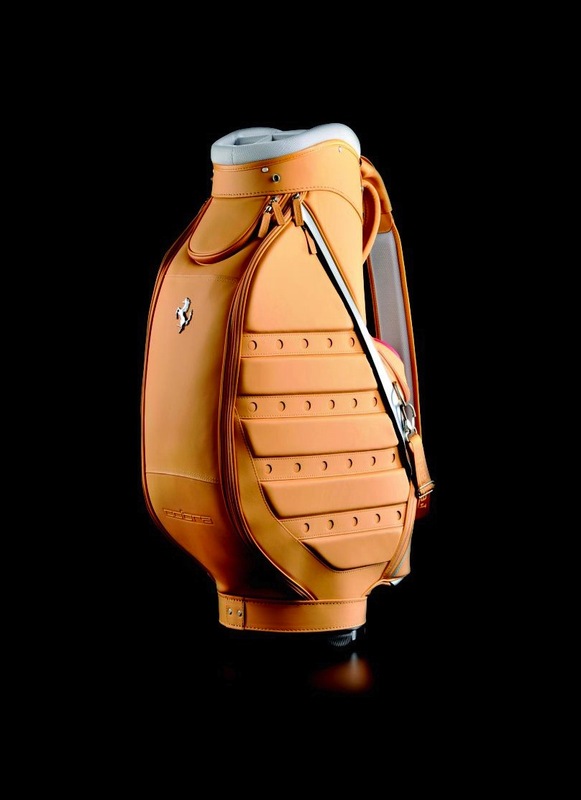 I definitely would not say no to a Ferrari Golf Collection golf bag that looks like its made directly from the seat of a GT car. 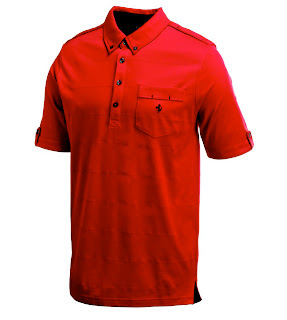 Take a look at the photos of some of the products from the Ferrari Golf Collection. Oh yeah, the collection is available on July 1, 2012. COBRA PUMA GOLF is bringing consumers a premium new golf line. 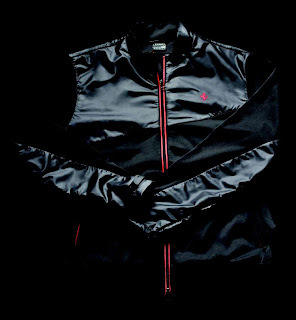 The Ferrari Golf Collection engineered by COBRA PUMA GOLF is a full offering that features luxury equipment, apparel, footwear and accessories. 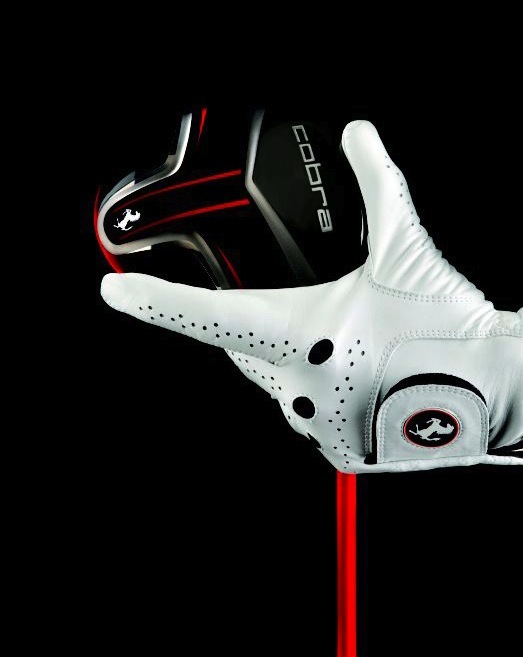 This long-term partnership between COBRA PUMA GOLF and Ferrari SpA is bringing a new type of product to the industry that is both beautiful and technically advanced, truly merging both art and science. The Ferrari Golf Collection was developed through a collaboration with COBRA PUMA GOLF and Ferrari SpA. It brings the most innovative technologies from COBRA PUMA GOLF engineers and Ferrari aerodynamic engineers together with premium materials, packaging and unquestionable style. 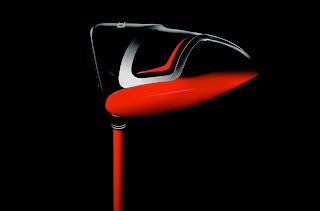 The culmination of the Ferrari Golf Collection lies in the COBRA Ferrari Driver, a true work of art designed and developed by COBRA PUMA GOLF equipment engineers with Ferrari SpA aerodynamics engineers. The result is a super premium, aerodynamic, multi-material design that delivers fast club head speed and exceptional distance. 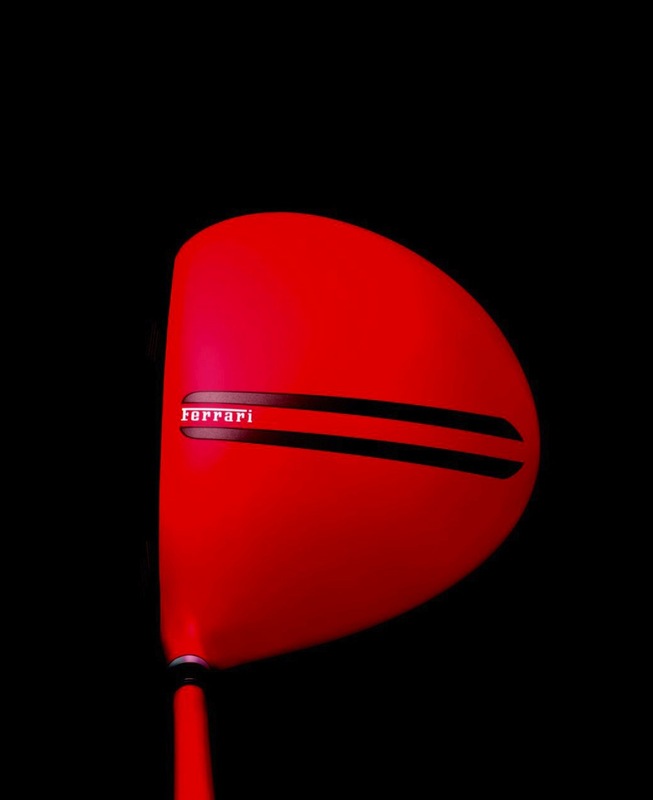 After studying the COBRA® ZL EncoreTM Driver Ferrari aerodynamics engineers suggested shape changes that would reduce drag coefficient, making the club swing easily through the air and resulting in more club head speed. These changes included new radii along the face perimeter, smoothing of the bottom sole surfaces and raising the trailing edge of the driver higher off the ground (to delay separation). These new designs along with multi-material construction reduce drag, increase club head speed and maximize distance. 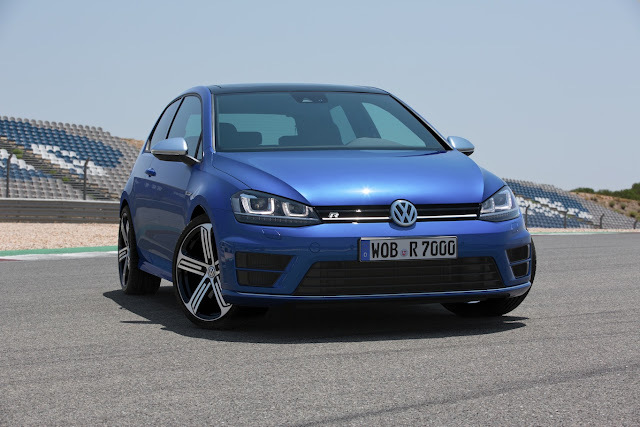 The attention to detail, performance and style did not end with the driver. The Ferrari Golf Collection apparel, footwear and accessories fuse form, function and fashion in a collection of impeccable design. 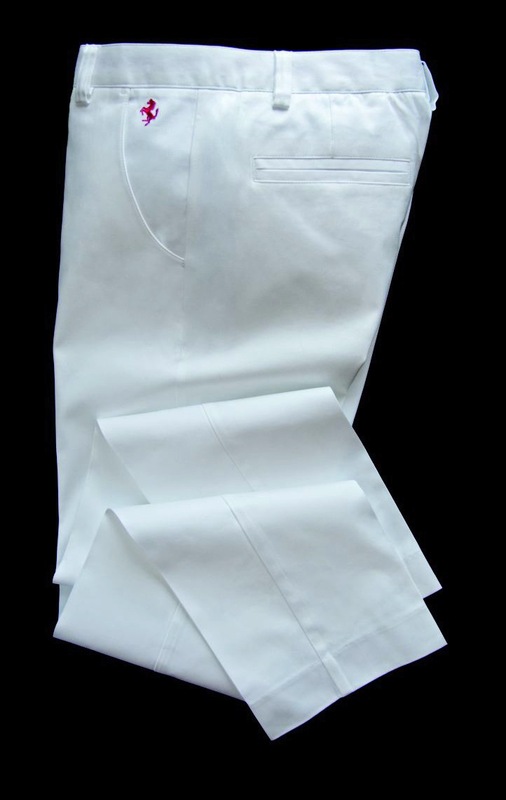 The accessory range features premium visors, belts, gloves, umbrellas and bags. A selection of the accessories, such as the Ferrari Golf Luxury Bag and Ferrari Golf Luxury Duffel, are crafted in Poltrana Frau Leather, the same leather used in Ferrari GT Cars. This season, the Ferrari Golf Collection apparel features polos, knits, jackets and pants. The Ferrari Golf Tech Polo uses state of the art fabrics and technology such as COOLMAX® All Season, UPF 50+ and moisture wicking for a shirt that keeps you comfortable and stylish in any weather. The Ferrari On Course Jacket has a striking style with contrast red stitching on black fabric, this design was based off of the interior of a Ferrari car. The jacket is also breathable, wind resistant and water resistant for extreme comfort throughout course of play. 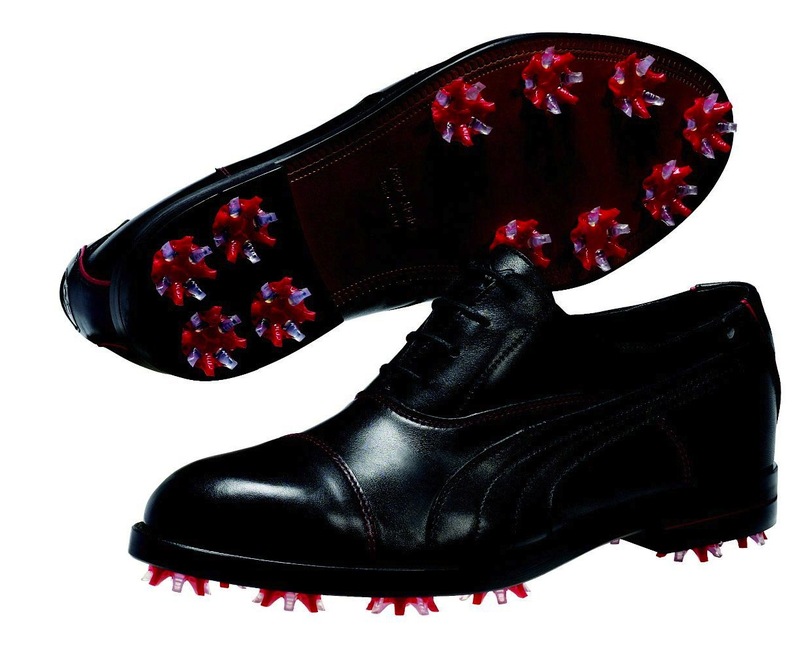 The Ferrari Golf Leather Shoe is handcrafted in Italy with genuine full grain leather upper and sole. Available in white or black, the shoe is the epitome of fashion and technology. Utilizing PUMA®’s S2Quill technology, the shoe provides superior traction, stability and support while on course. The delicate stitching in the shoe is designed after the interior of a Ferrari car and the sleek silhouette is an understated, luxury look that will have heads turning all over the golf course. The Ferrari Golf Collection will bring a new level of luxury, performance and style to consumers’ golf games around the world. 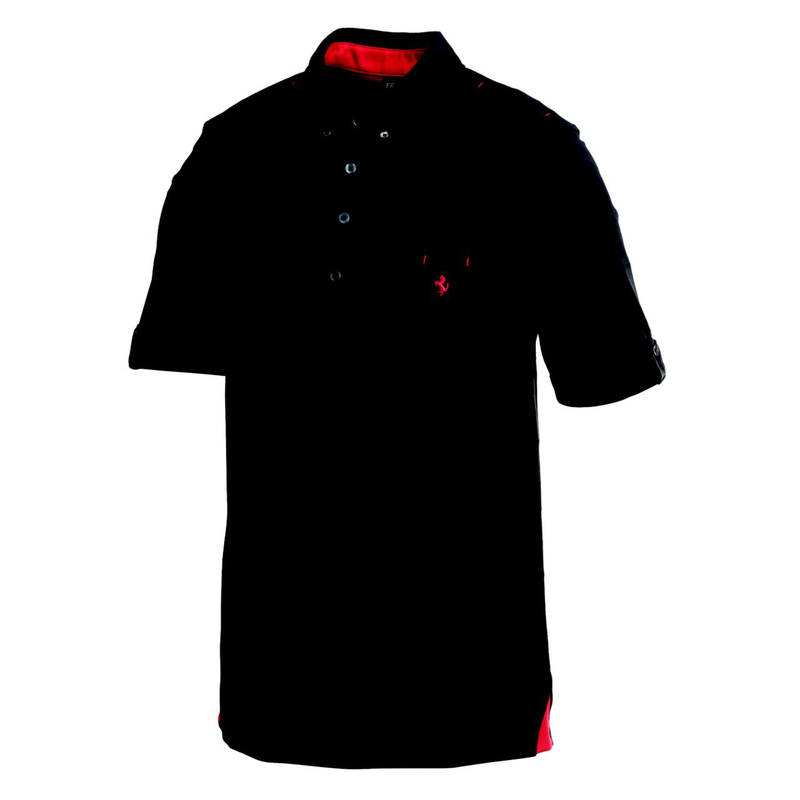 The collection can be found in select golf retailers, select Ferrari Stores and select high end retailers starting in July, 2012. 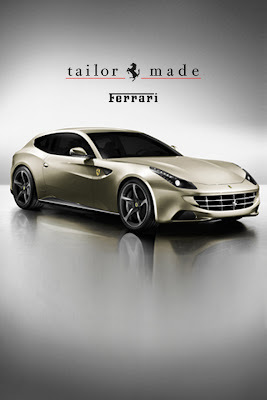 For a list of authorized retailers or for more information please visit www.ferrarigolfcollection.com.